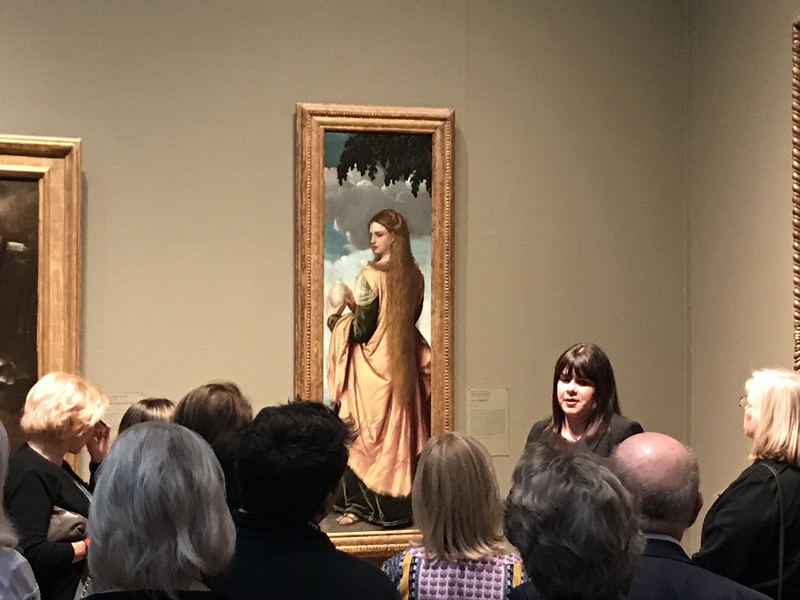 The Illinois Chapter held their first members-only program on October 19th at the Art Institute of Chicago. The evening began in the galleries viewing five paintings. Rebecca Long, Patrick G. and Shirley W. Ryan Associate Curator in the Department of European Painting and Sculpture, the Art Institute of Chicago, shared the artistic and historical viewpoints, while John Shea, theologian, shared a theological perspective. A reception was held afterwards at Terzio Piano.